Yay! You have started a blog and are dying to get it out there. You want more traffic and more people to engage with you. You want followers and people to share your words. Maybe you even want to make money. You are ready to have a successful blog. But you have no idea what to do next. 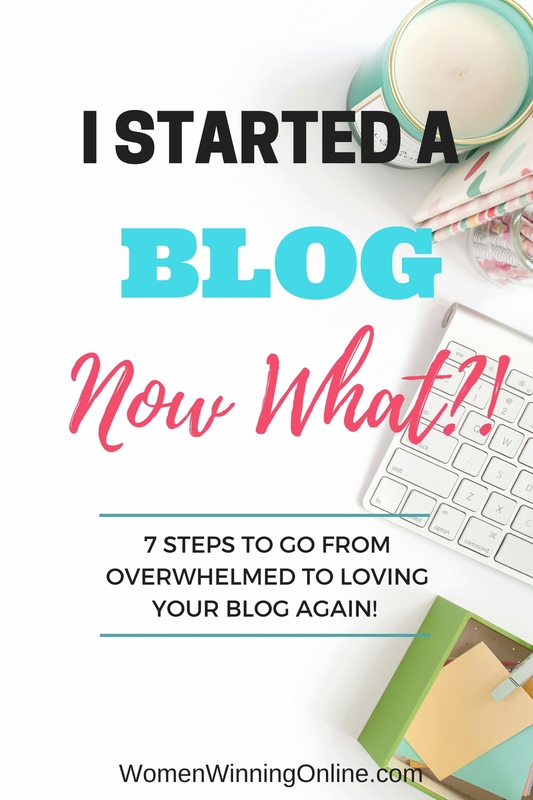 You’ve started this blog, now what? You know you have to get your blog out there for people to see it, but other then posting it on Facebook a few times you aren’t sure what to do. In fact you are kind of feeling overwhelmed, like a fish out of water. Who can blame you. 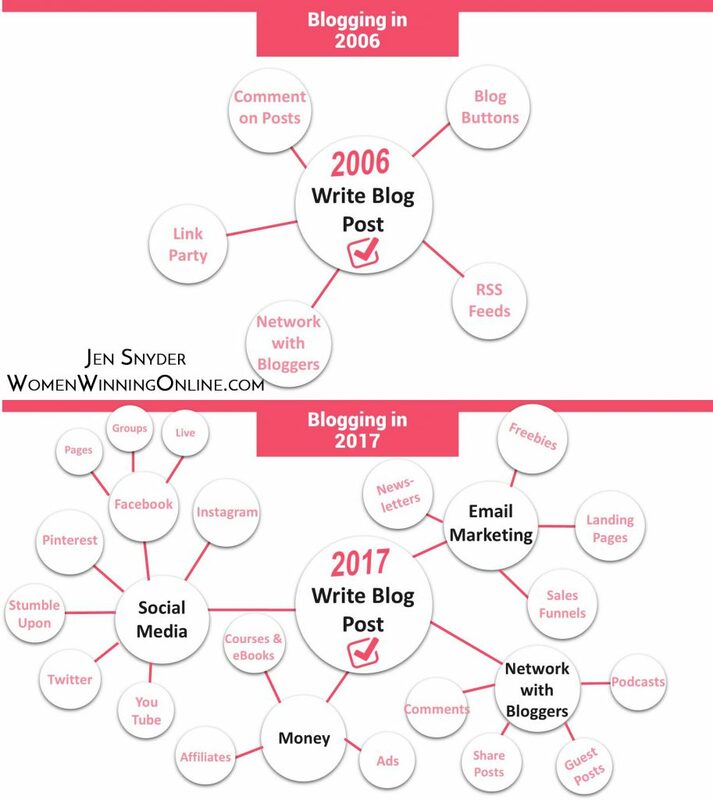 Look what has happened to blogging in the last 10 years! While all the things that are available to us are great, they are also overwhelming! Where do you even start?! Blogging is like taking a road trip. If you have a goal for a destination you follow a map. The same is true for blogging. 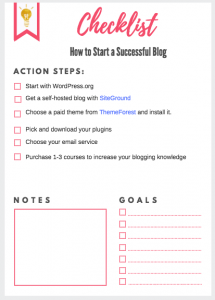 You start with your blogging roadmap! A lot of people start blogs because they want to help people through their writing. Others start blogs because they want to help people and earn an income online. Whatever your motives are, it is good to start with the end in mind. Is your goal to make money blogging? It’s okay to say yes! If earning an income from your blog is your goal it is good to know how you will get there. You may not know exactly how you are going to do it now, but it is good to have some ideas on how to make it happen. 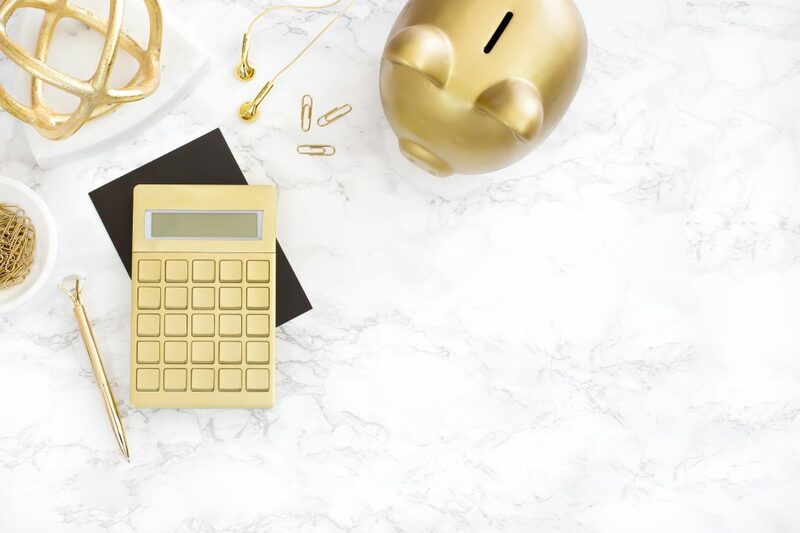 When I first started blogging I devoured every single income report I could find. My favorite was Pinch of Yum’s because they live in my area and that inspired me. I like how their income reports started from when that made $21.97 a month all the way up to $92,900.54. I feel like Lindsay and Bjork left a great roadmap of how to earn an income blogging. But as I read these income reports I realized it wasn’t only about the money. These bloggers had shared what worked and what didn’t. Some left a detailed plan of how to start, grow, and make an income from their blogs. As I read these reports I could see my own plans come together. 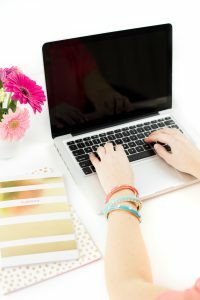 I realized that yes, I do want to make an income blogging, and I want to leave a roadmap for other women to follow. Then set your goals. Aim to reach the first 100 people with your blog. Set a goal to hit 1,000 pageviews. Then shoot to make your first $100 through affiliate income. 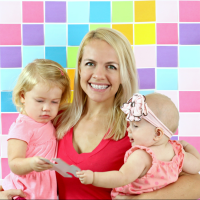 Yes you want to reach more people, have more pageviews, and make more money, but you have to crawl before you can walk! Then celebrate each milestone along the way. Blogging is a journey, not a sprint. When you have a dedicated plan to follow and are consistent with it, you will hit your goals! Make sure to start with the end in mind! Blogging is incredible! You get to connect with people. You get to help people. You get to have your words, thoughts, and ideas matter to someone. It really is an amazing journey! But not every path on this journey is smooth. Just like there are highs along the way, there are lows too. Rude comments, lack of traffic, and working many hours for no money is hard. That’s the dark side of blogging. I don’t mean to be a downer, but I also want to be real with you! It isn’t all a roses and champagne! That’s why you must know your why. Why are you blogging? Who do you want to help? It has to be more than about the money for it to be worth it. You and your words are worth so much more than money. You are valuable and have a unique perspective that we all need to hear. What is your why for blogging? Write it down, print it out, and place it by your computer. Heck put it right there on your computer. This will help you keep going when it gets hard! Now that you have a plan and know your “why” it is time to figure out your “who.” Who exactly are you writing this blog for? The number one thing bloggers overlook when they start blogging is defining their niche. We have some blog post ideas, we write, and then hope the magic will happen. We are missing one key ingredient: knowing our niche and what they want to read. When you know your niche you can write posts they want to read. You can offer freebies they are dying to download. You can offer courses they are happy to buy. The reason knowing your niche is important is because your blog now has a purpose. You have well defined content with a pattern that people want to read. Maybe it’s my Type A personality but I like everything to be organized. The same is true for my blog. I learned this tip from Elite Blog Academy and I love it. 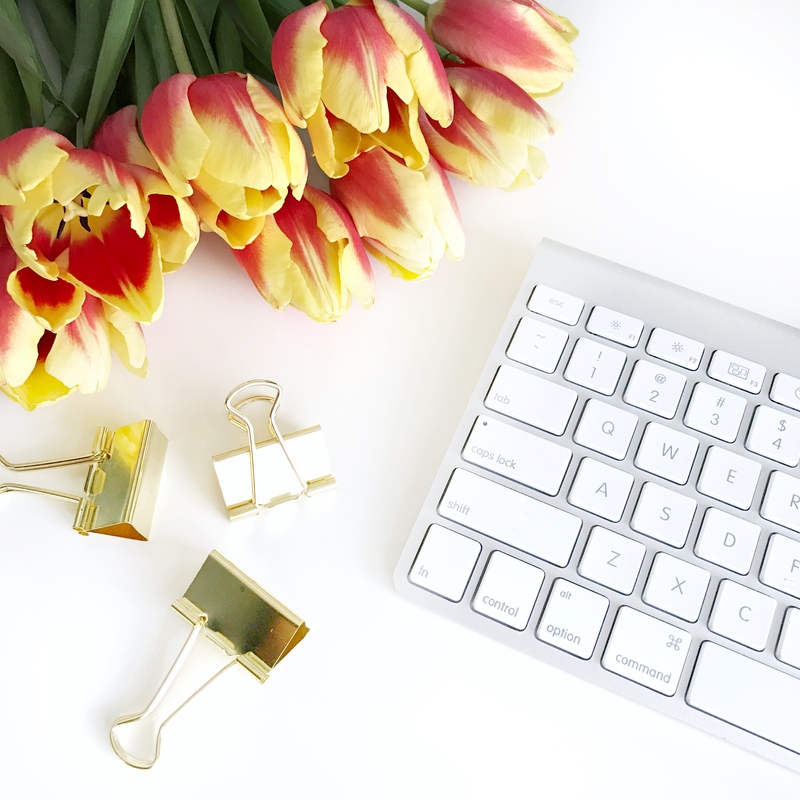 Organize your blog categories into 3-5 main categories. Then have each category have a few subcategories. This makes it easier for your niche to find the content they want to read. It makes your site look more put together and not as all over the place. It also encourages people to look through your blog more and get hooked into your content. All this is a win! How do you come up with your categories? First think about the topics you want to write about. Also take into account the topics your niche wants to learn more about. Then brainstorm some ideas. For example, I use online marketing as a main topic. Then I include subcategories for email marketing, landing pages, freebies, etc.. The easier you make it for people to find your content the more likely they will stay around and read it. Make it easy for them! 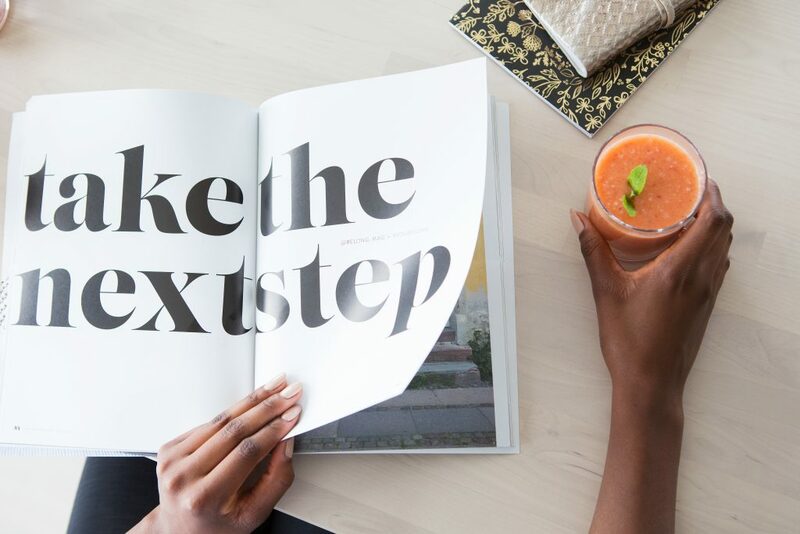 Now that you have all the pre-work done on your blog it is time to start it, the right way! A lot of bloggers will start out on free platforms like WordPress.com or Blogger. If you are serious about making a go at blogging I would start out with a self-hosted WordPress site. Don’t let those words scare you away! I can help you with this! 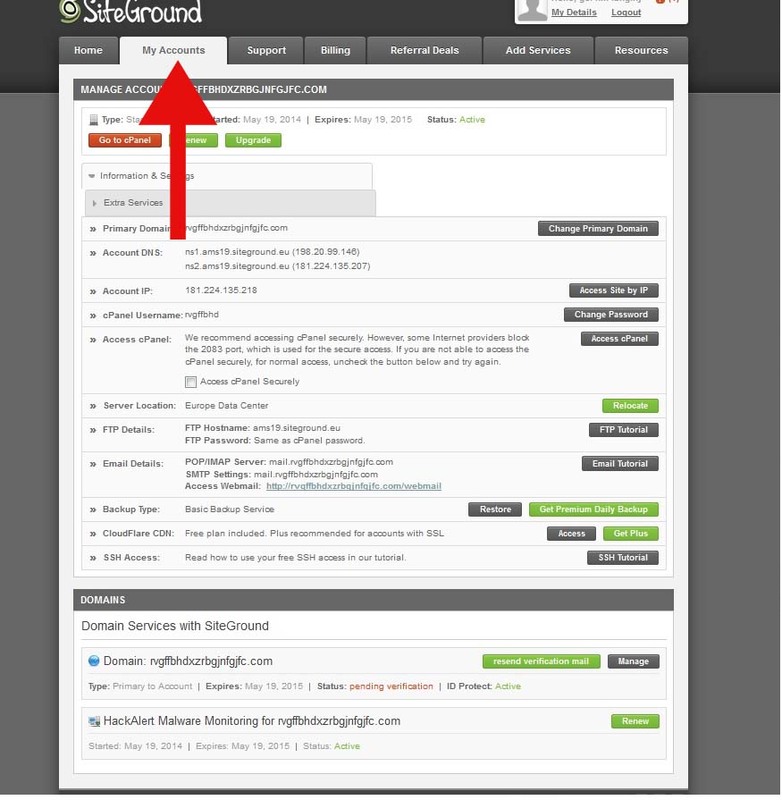 Self-hosted means you own your website domain name and your blogging platform. With a self-hosted WordPress site you can add a bunch of plugins to make your blog better. 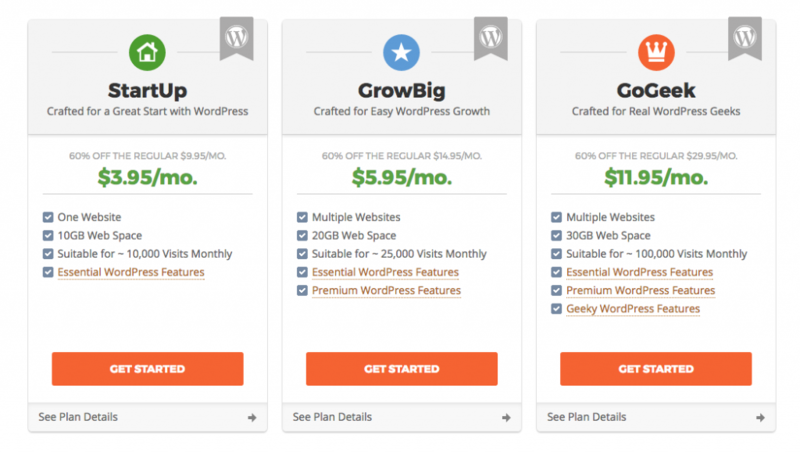 You can also monetize your blog with a self-hosted site. The reason I suggest you start out self-hosted right away is because it is a pain to move everything from a free site to a paid site when you decide to make the switch. You can’t take your free theme with you and it’s not easy to move all your posts. Plus hosting for the year through SiteGround is only around $47 a year for their beginner plan, $95.40 for their Grow Big plan, and $179.40 for their GoGeek plan. I am on their GrowBig plan and I love it because my site is so fast and I can host multiple sites under this one plan! There aren’t too many businesses you can start for under 50 bucks! 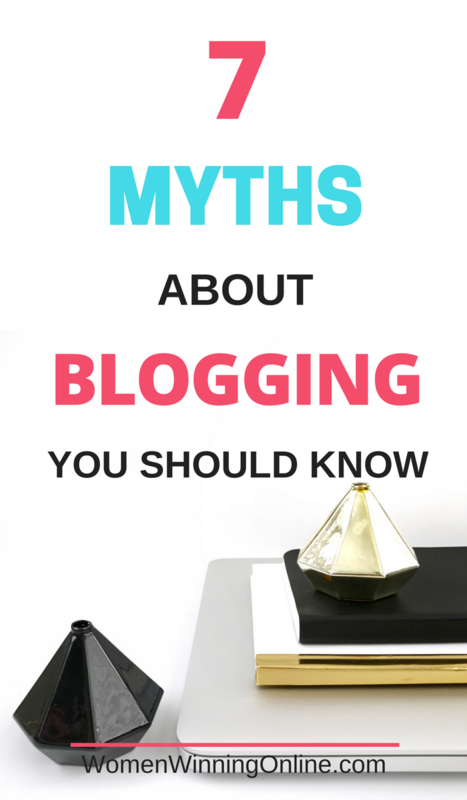 There is a myth out there that to grow your blog you must post every day. Or at least 2-3 times a week. That is crazy to me! The only time I can think of that working is if you have a site that is dedicated to deals or coupons. Other than that niche, that is a lot of content to put out there every week! I actually tried my hand at this on my first blog. I committed for to post every single day in the month of November. I did this to see if I liked blogging or not. The good news is that yes! I fell in love with blogging that month. The bad news is I almost burnt myself out on it. Then I stumbled on this post on SmartBlogger. In short it said posting every single day on your blog is one of the worst things you can do. First, it pushes all your good content to the bottom and people don’t see it. Second, people do not have the time to consume all that information! I also learned something from writing a post everyday. My content at the beginning was awesome. In fact some of that content is still getting shared today. But as the month wore on, the content started to go from really great, to mediocre, to blah. Save yourself some time and commit to posting once per week on your blog. As you will soon learn below, you will have plenty of other things to do for your blog! 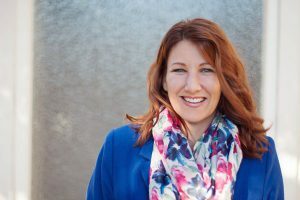 When I first started blogging I read two quotes by Amy Porterfield and Pat Flynn, two incredible internet marketers. 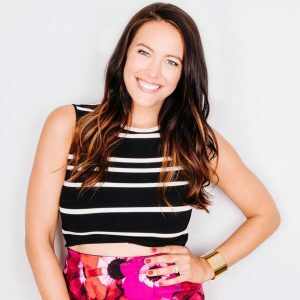 Both Amy and Pat said the biggest mistake they made when starting their online businesses was not starting an email list right away. They both said they wished they would have done that first because they missed out on a bunch of potential subscribers as their sites grew. I took their advice to heart and started my email list right away. I lasted for one week on MailChimp before I switched over to ActiveCampaign. I can’t on good faith recommend MailChimp. I know it’s free, but like the saying goes, you get what you pay for. ActiveCampaign is $9 a month and for that low price you get a ton of features! 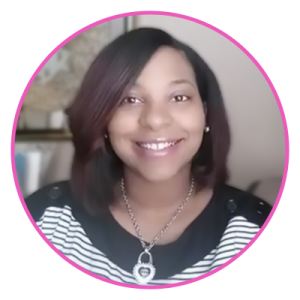 They have automations set up that will share your freebie for you and help you grow your list. I know this might sound overwhelming, but they have an awesome support team that will walk you through these steps. I am also here to help you! Starting an email list is the best thing you can do for the future of your blog. I started my list for Women Winning Online the same week I started the blog last year. I have people on that list from February that purchased Find Your Tribe Online when I launched it in August. Email subscribers are just that loyal. 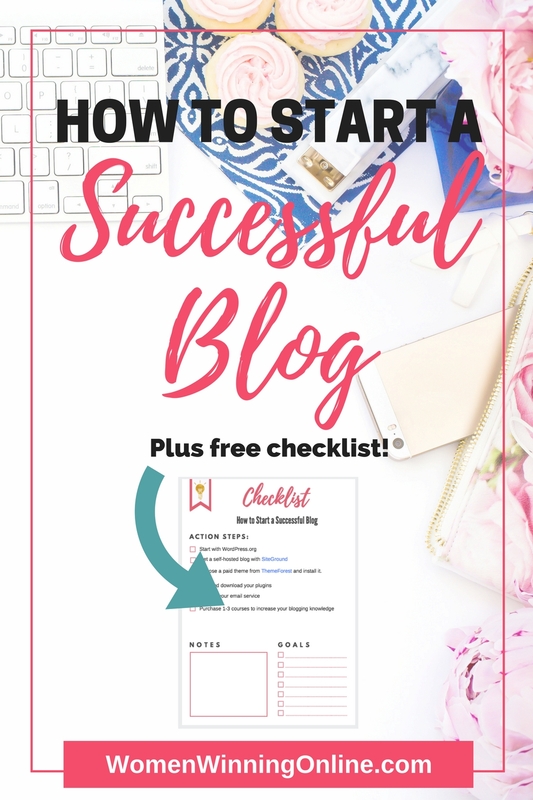 Do yourself and your blog a favor and start your list right now! Once you have your email system all set up, you need something to offer people to subscribe to it. All too often I see bloggers make the crucial mistake of asking people to sign up the wrong way. The two common things I see are:1. Sign up for my email list and get my posts delivered right to your inbox! Sign up for my list to get printables, downloads, and more! Why don’t these work? Our emails have become a precious commodity. We get so.much.email. We aren’t willing to give out our email to just anyone because we don’t need something else cluttering up our inboxes. The reason those two “offers” don’t work is because there is nothing in it for the subscriber. Nothing of real value that they can see. For the first one, they think “I don’t need another post in my inbox. If I want to read the blog I will come back and check it out.” Yet they never do because we have short attention spans and even shorter memories. The second statement doesn’t work because they don’t know what they are getting. Whenever I see this I always wonder “What printable am I getting and what’s the more?” It’s not clear what the value is here so people won’t sign up for your list. Remember how in step 3 you defined your niche? Go back to that. Go back and look at what your niche is struggling with and what they want to learn more about. Then create a simple worksheet, cheatsheet, or quick tips around a solution for that problem. Give people what they want and they will gladly sign up for your email list! You have a good email service, a freebie that is rocking so now it is time to kick that into overdrive! It’s time to create your first landing page! It is one page that you use to share about your freebie with a sign up box for people to download it. To see an example check out my Email Worksheet landing page. Most bloggers are scared to do a landing page. I get it. You are asking people to sign up for your email list without even seeing your blog. What if they don’t sign up for your list and then never get to see the goodness of your blog? It’s a risk for sure. But you know what’s riskier? Having them go to the home page of your blog and never come back. At least if you capture their email address you can send them blog updates. I also take my email list very personally. To me it’s a way to connect with my followers, help them, and build relationships. I would rather take the risk of having them not sign up, then not come back at all. To make your life easier use a landing plugin like Thrive Landing Pages to create your first page. They have awesome templates you can use to get up and running quickly. Something that helps me create landing pages really fast is to add in all my information and save it as a template. Then when I want to create a new landing page, I have the bones ready to go! Use your landing page when you do Facebook promo days, guest posting, and on your social media sites. Create the best freebie you can and then share it like crazy! Pinterest is a gold mine of traffic for all bloggers. It has become the number one source of traffic for most bloggers out there. If there is one thing I wish I could do over my first year of blogging it would be Pinterest. I didn’t pay enough attention to growing that platform. My advice to you is get to know everything you can about Pinterest! Devour any blog post you can find on the subject. 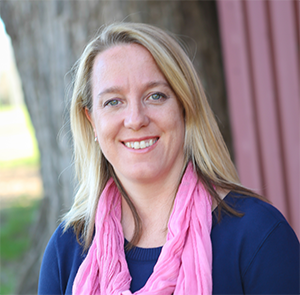 A few of my favorite resources are my dear friend Suzi Whitford as well as McKinzie Bean, and Elna Cain. They all have great posts on Pinterest and how to grow your traffic using Pinterest. 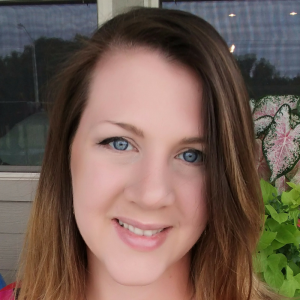 Update my profile to describe who I help. Add images to the new slider thing. Delete pins that aren’t performing well. Update call-to-actions to my pins. Add SEO friendly words to my pins. Add infographics to some of my posts. Pin 3 other bloggers’ posts for every 1 post I share of mine. Get more active on group boards listed on Find Your Tribe Online. I have learned that Pinterest isn’t something you can haphazardly do. Like anything else you have to have a strategy to be successful with it. Part of my strategy involves using Tailwind to make my life easier. I love how easy it is to schedule my pins and others with Tailwind. If you haven’t tried Tailwind I highly recommend it. When I started using it, my Pinterest traffic increased by over 35%! As a bonus when you sign up with my link you get a free month to try it out–bonus! Pinterest is key for any bloggers growth. Focus on a good Pinterest strategy and your blog traffic will grow! 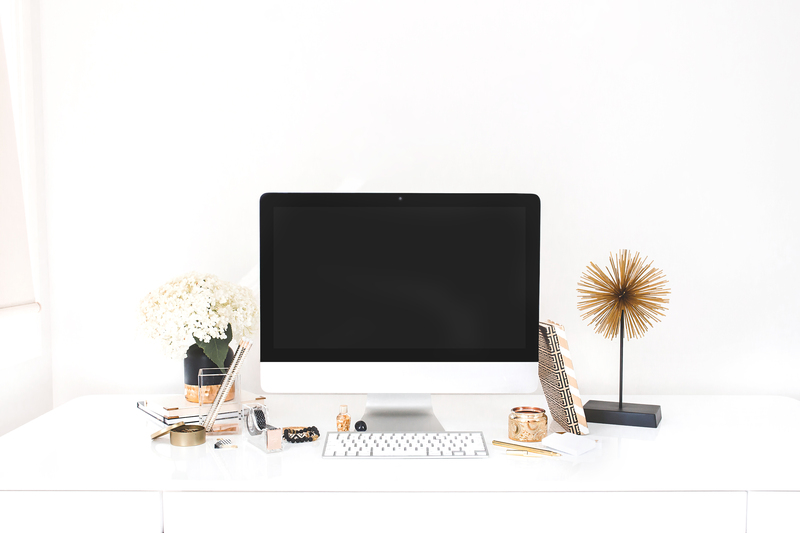 At this point on your blogging journey you have done some serious work! Now it is time to get out there and find your readers! 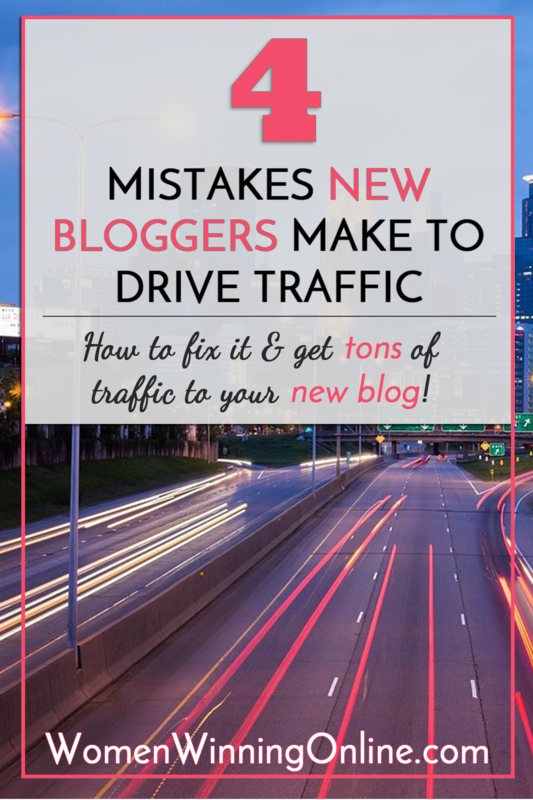 The number one thing bloggers tell me they want is more traffic. More traffic means more engagement, more pageviews, and more money. Heck yes we want that traffic! But unlike the Field of Dreams, the saying “If you build it they will come” does not work for blogging. Or any business really. You have to go out there and find your people and get them to come back to your blog. Like I mentioned above, Pinterest is your best first start to go find your people. Join group boards in your niche and share your pins on those boards every single day. Share other bloggers’ pins to spread the love around. Next you will want to figure out where your people are hanging out. Are they in Facebook groups? On Instagram or Twitter? On other blogs? Where is the main place your niche is hanging out? Figure that out and then be there and be visible. Need help finding your people? 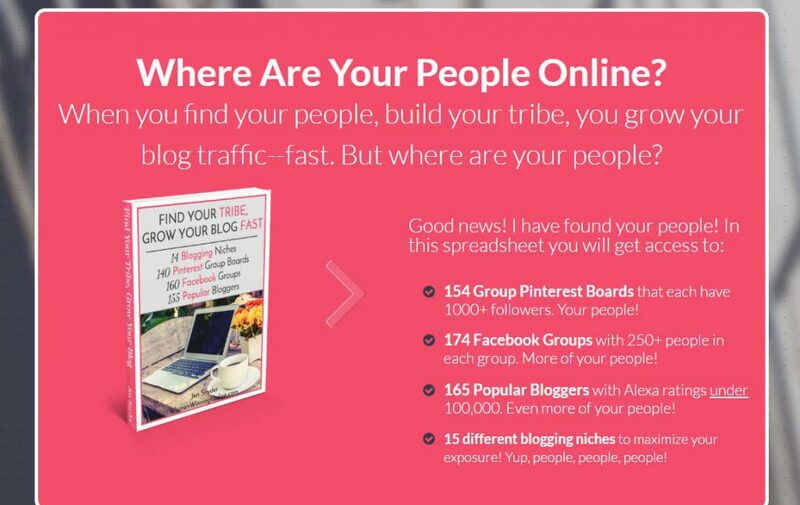 Did you know that Find Your Tribe Online has 174 Facebook groups and 154 Pinterest group boards that will make it easy to find your people? It’s a resource many have used to triple their traffic in only days! Once you know where your people are hanging out, talk to them! Ask them questions about what is going on in their lives. Ask them how you can help them today. Ask them if they could wave a magic wand over something in their lives, what result would they like to see? Ask them questions and take the time to get to know them. On the flip side also take the time to answer their questions. Look in different Facebook groups and see what questions people are asking. Then go in there and offer your opinions. Take the time to help people for no other reason than to help them. This is the core of providing value to your niche. Do this and people will flock to you and your blog. When you help people you are investing in them. This investment will build your tribe and grow your blog. Plus it’s just nice to do! 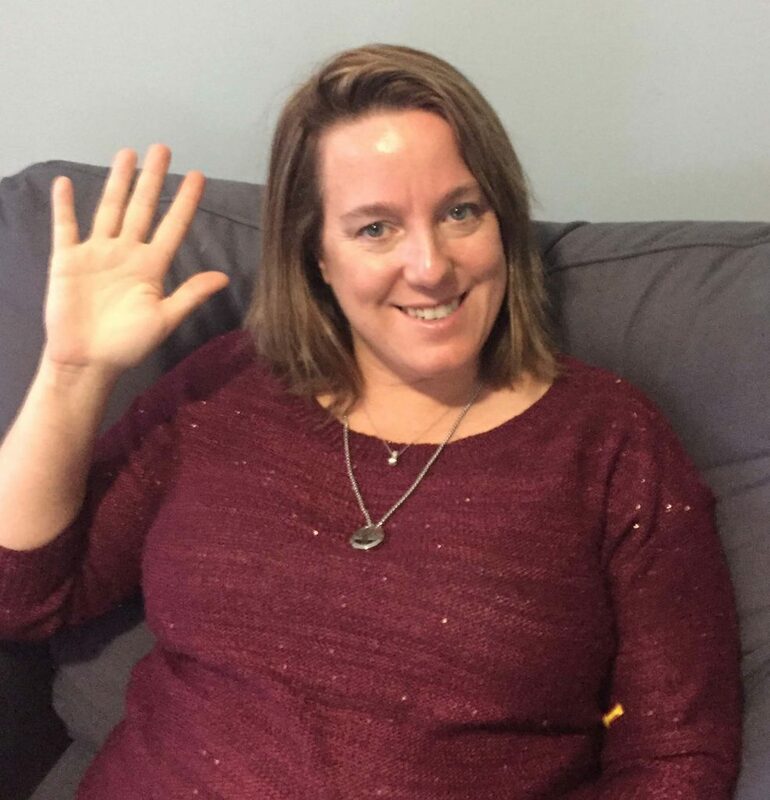 Raise your hand if you are overwhelmed by all the social media sites out there. Oh my gosh doesn’t it seem like we add something new every six months to the social media world? Just when you thought you had a handle on your Facebook page, Facebook adds groups and livestreams to their site. Then Periscope comes along and you haven’t even mastered Twitter yet. And why are you getting hits from SumbleUpon? Then there’s Pinterest and Instagram, both a blogger’s best friend. Plus about 50 more that I am sure I haven’t mentioned. Holy moly! It’s enough to make you dizzy isn’t it? The problem when we start blogging is we feel like we have to be on all the social media sites to grow our blogs. Yet nothing could be further from the truth. We actually do more damage to ourselves trying to be everywhere all the time. It’s too overwhelming to try to grow your blog and your email list and all your social media sites when you are new. It’s too much. The best thing you can do for your blog and your sanity, is to grow one social media site at a time. Take a look at my Facebook page for Women Winning Online. It has a really low following. Why? Because I am not focused on growing my Facebook page. I am focused on growing my Facebook group because that is where my people are hanging out. I have a goal and a plan to take on one social media site at a time. I know that I can’t do it all and do it all well. I would rather grow my blog, my email list, my Facebook group, and Pinterest before I tackle another social media site. Those four things alone are enough to keep me busy for the whole year! I also know that I can’t focus on growing my social media site by myself. I don’t have the time to constantly be in my group posting information even though I wish I could be! 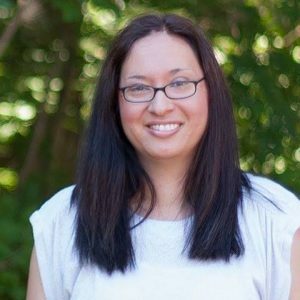 I rely on PostPlanner to help me stay organized and visible online! I can loop my blog posts with PostPlanner and never have to worry about scheduling them to be shared again. It’s great! 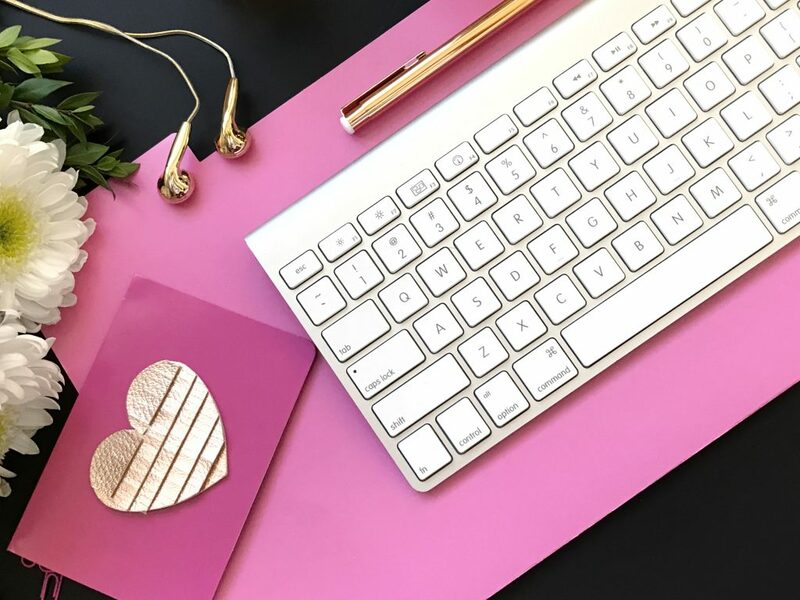 If you are looking for a social media scheduler this year, check out PostPlanner, and use WWOLOVE to get a 30% discount. Do yourself, your blog, and your sanity a favor and focus on one social media site. Choose the site where your people are hanging out and do it really well. 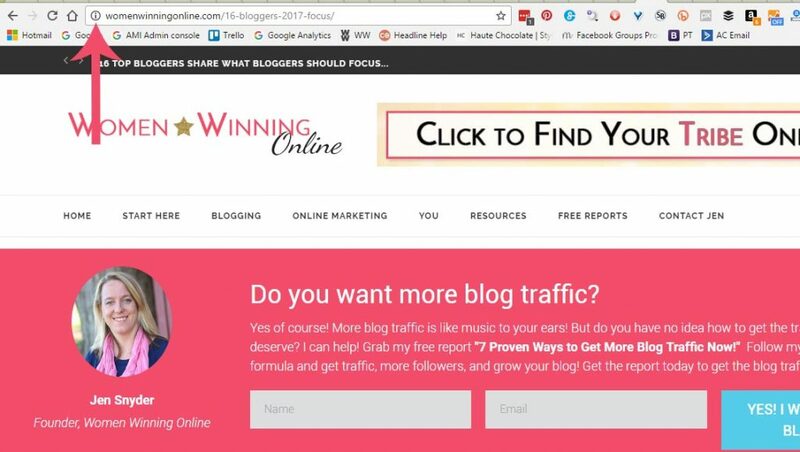 By staying focused on one site your following and your blog will grow! Remember how you set up your email service, the best opt-in offer, and an awesome landing page? Now that you have started to collect those emails it’s time to actually send emails! Here’s the thing. Those 10 people don’t know they are only 1 of 10. For all they know you have 300 people on your list. They signed up for your email because they want to get emails from you! I recommend starting first with a welcome email when people sign up for your freebie. Send out a welcome email and start building a relationship with your subscriber right away. Then after that work on two things. First a weekly email newsletter. Let people know that you are going to email them once a week. In that email newsletter include exclusive tips you only share with your email subscribers. Share tools that are working for your blog or in your life. People love getting this kind of personal and exclusive content. For more ideas on what to send your email list, check out my email newsletter worksheet! Networking with other bloggers is one of the best things you can do for your blog and for yourself. This is a tip that has been around since the beginning days of blogging and one that holds true. Making blogging friends is great for getting your content shared. You share their posts, they share your posts. It’s a win-win! But it is also goes much deeper than that! Blogging is not easy work and it can be lonely. Connecting with other bloggers that get it makes it a lot less lonely. Your blogging friends will celebrate your wins with you and pick you up when you are having a rough day. That’s how important it is to network with other bloggers. So where do you find these bloggers and how do you approach them without sound like a weirdo? Good question! One way is to create a mastermind group of 4-6 bloggers in your niche. Form a small Facebook group and help each other out. This is one way I met a few of my best blogging friends. Another way is to simply reach out to bloggers that you admire online. Maybe they are in a similar niche as you and you admire the work they are doing. Take a moment and reach out to them on a Facebook message and introduce yourself. It doesn’t have to be weird or awkward because you are paying them a compliment. Ask them more about themselves and why they got into blogging. 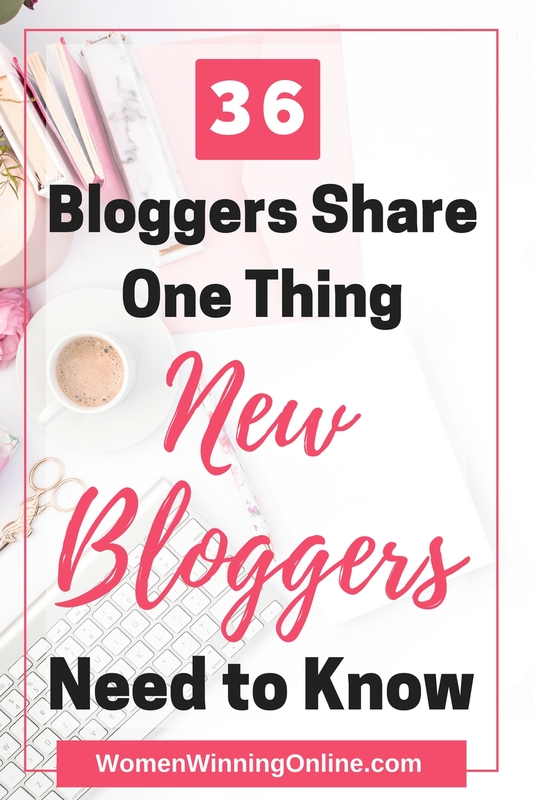 Let them know you are looking for a few new blogging friends to connect with. Taking these baby steps will help you to build a network of bloggers that you can lift up and vice versa! Guest posting is a long held blogging strategy that still works today! Guest posting on someone else’s site is a great way to get your name out there to a new audience. It also helps build external links back to your blog. The first thing you want to do when guest posting is look for blogs in a similar niche as yours. 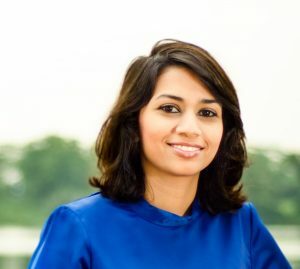 For example I blog about the business of blogging so I would look for blogs with similar topics like email marketing, getting blog traffic, and so on. Another idea would be to look for blogs that are one step off of your main niche. For example, if there was a popular coupon blog that also writes about starting a blog, I could write a post on the top 10 reasons to start a blog today. The readers are used to seeing only coupon posts and might be drawn into blogging posts like these. The next thing you want to do when you guest post is to look for blogs with a larger audience size than you. You want to look for popular blogs in your niche so you can have a shot at being seen by more people. Guest posting is a win-win because the host blog gets a break from creating content and you get your blog name in front of more people. It’s blogging collaboration at it’s best! 1. Write your very best post. You want this post to be so detailed and filled with valuable information. Make sure your spelling and grammar are perfect too. 2. When you guest post you usually get a 1-2 sentence bio at the end of your post. Do not, do not, do not use a link and send people back to the home page of your blog. Send them to your landing page to grab that valuable email address! 3. If you can include links or images of your blog in the first two paragraphs of your post do it! This will help drive more traffic to your blog. 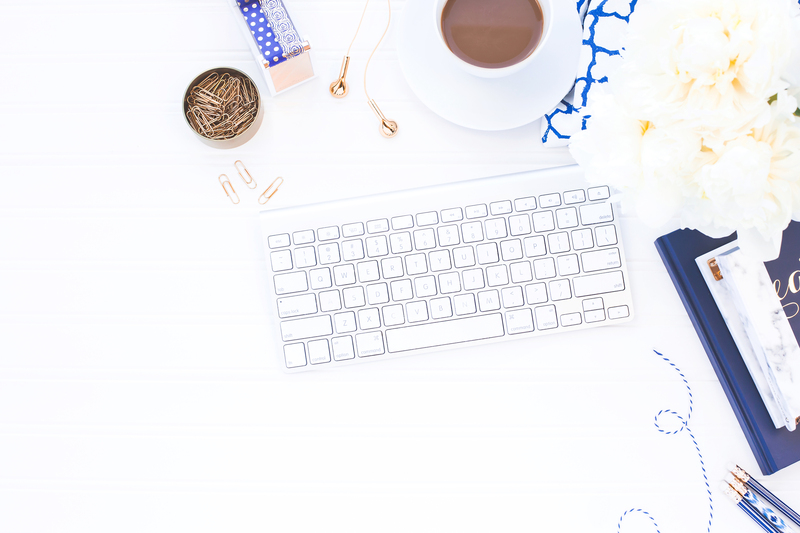 Guest posting is an incredible strategy to network with other bloggers and get more eyes on your blog! I think there is one key to all these 16 steps above. One thing that will set you apart from other bloggers. You have to go out there and get exposure for your blog. You can’t write and hope people will come to you. The internet is a huge place and it is hard for one blog to stand out. The only way to stand out is to stand up and let people know you are here. Go out there and be consistent with your message. Talk to people, get to know them, help them, and write for them. Work hard and go out there and get exposure for your blog. Post consistently on your blog, on social media, and in Facebook groups. Be faithful with your email list and send emails to your subscribers. Get to know other bloggers and help them out. 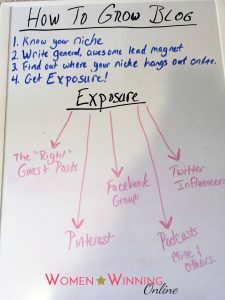 Do these things to get exposure for your blog and to help others. This is the roadmap to growing your blog the right way. The road to creating a successful blog is a long and winding road. It’s a fun road trip but one that’s better if you follow a roadmap. It makes the peaks and valleys so much closer and not as hard. This list is extensive and in and of itself overwhelming. I get it! Take a few moments after you read this to pin it to Pinterest so you can come back to it. My best advice is to go through this one step at a time. Just like you have to take stops along the way on any road trip the same is true for blogging. Rome wasn’t built in a day and your blog won’t be either! 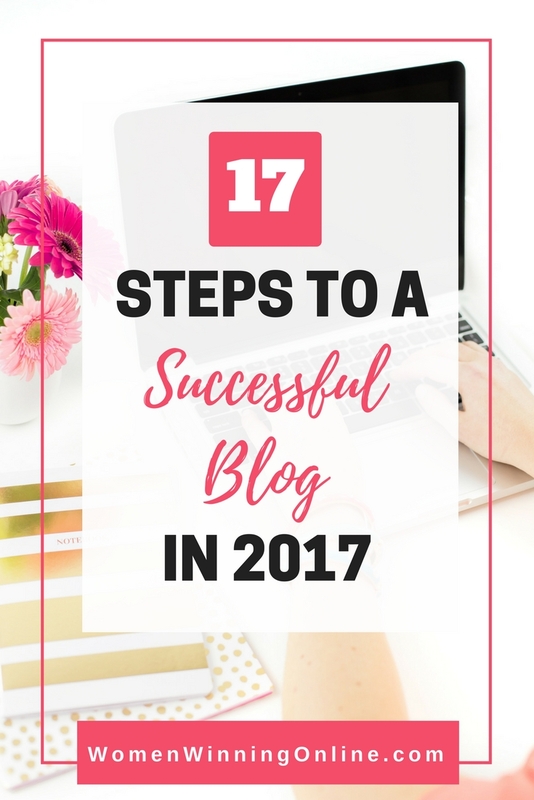 Take your time to do each of these steps and you will be rewarded with a successful and thriving blog! You’re ready. You want to start a blog. You want to write to help other people. You want to write because it’s what you love to do. You want to write to build your platform online. 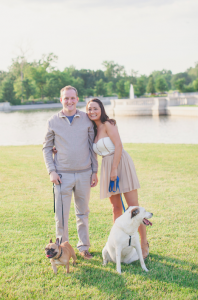 Those were the top three reasons I started this blog and it has been so very rewarding! But I will admit when I started my first blog six years ago I was so overwhelmed by the tech piece. Do I use WordPress, Blogger, Squarespace, Weebly, or something else? Is this going to be expensive? What are my costs involved? Is this too technical to figure out? Do you have these questions going around in your head? Then you have come to the right place! I have now started three blogs as well as created a dozen websites for clients. I have this process down to a “T” and can get a website set up in about 10 minutes– maybe less. Even better news? I am going to walk you through the process step-by-step with screenshots for free. People were good to me when I first set up my blogs and I want to pay it forward! First I am going to start by answering the questions above. 1. 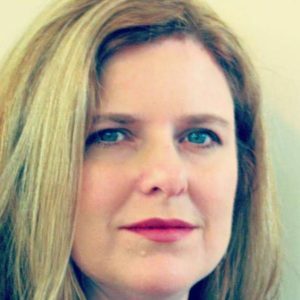 How do I get my blog online? You will want to choose a blogging platform like WordPress, Blogger, Squarespace, or Weebly. These are the easiest options for creating a brand new website from scratch. Your blog is also a website. 2. Do I use WordPress, Blogger, Squarespace, Weebly, or something else? Hands down use WordPress and not the free version. WordPress will give you the most options for downloading plugins (more on that in a bit). It will make it easier for you to do ads on your blog and add special features like social media share buttons. 3. What’s the difference between WordPress.com and WordPress.org? WordPress.com is a free version of WordPress that you can easily use to launch your blog. There is one issue though– you can’t add any custom plugins and you can’t display ads. You don’t pay for the hosting. It is hosted on the WordPress.com server. WordPress.org is the self-hosted version of WordPress that you can do anything you want with. You can write unlimited posts, download as many plugins as you want, run ads, offer a freebie, and more. If you are serious about blogging you will want to start with WordPress.org. If you start with another option I can guarantee you will end up transferring to WordPress.org and that will be a pain. Save yourself the time and start with WordPress.org. This tutorial post will cover how to set up the paid version of WordPress.org. I want to explain the difference between your website URL being registered and your website being hosted. Your domain name is like your physical home address. It is where people go to look to find you. Your website host is like your house. People come into your house, talk to you, get to know you. Same with your website. Domain Host=House. I will explain this in the tutorial below, but for beginners SiteGround is a great, affordable option. 5. How do I get a domain name? You can either register your domain name with a separate company like Netfirms or you can register it with the same company you use to host your blog. This is usually the easiest option. You will need to renew your domain registration every year. I recommend registering through SiteGround because they don’t charge you extra for your domain name. It’s $15 to register a domain name and when you are starting out, every penny counts right?! Use that $15 to buy yourself lunch after setting up your blog! 6. Is this going to be expensive? What are my costs involved? 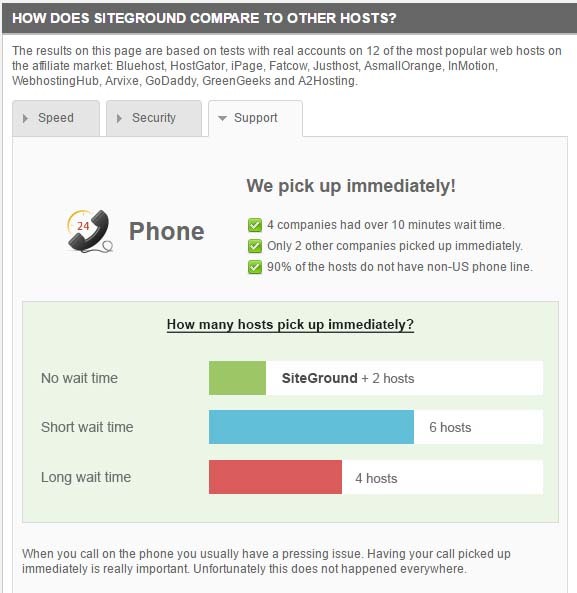 The thing I love about SiteGround compared to their competitors is they offer two great options for hosting your new blog. You can do the one month trial for $3.95 and a $14.95 domain registration fee. If you decide blogging isn’t for you, you have only spent $18.90 to try it out. That’s cheaper than taking your kids out for dinner right?! Or if you are ready to get your blog on, you can register for the 12 month package. The domain registration fee of $14.95 is waived when you sign up for a year. The costs to register for a year is only $47.40. Cheaper than a trip to Target am I right?! 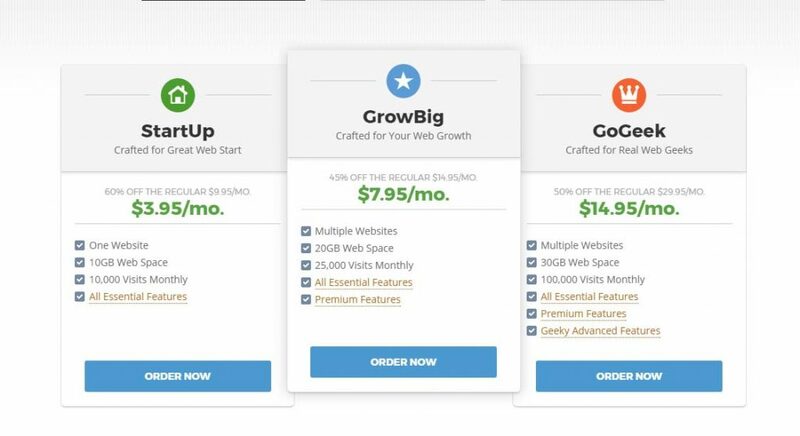 For those of you looking to host more than one site or want to take advantage of SiteGround’s free year of Wildcard SSL which is really important for bloggers, check out their GrowBig Plan for $7.95 a month. That is what I use! Also to really get the most bang for your buck, sign up for 3 years to take advantage of these low hosting prices. 7. Is this too technical to figure out? You have my word 100%, that if you can send an email, you can setup your WordPress site. I am going to show you the shortcut and the full blown way on how to do it. I will back this up with a promise from me. If at any point you get stuck in the setup process you contact me. Shoot me an email and I will help you get up and running for free. 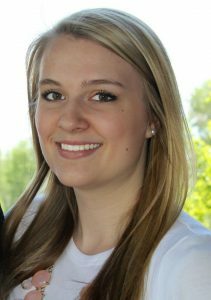 I want to help you start your blog! 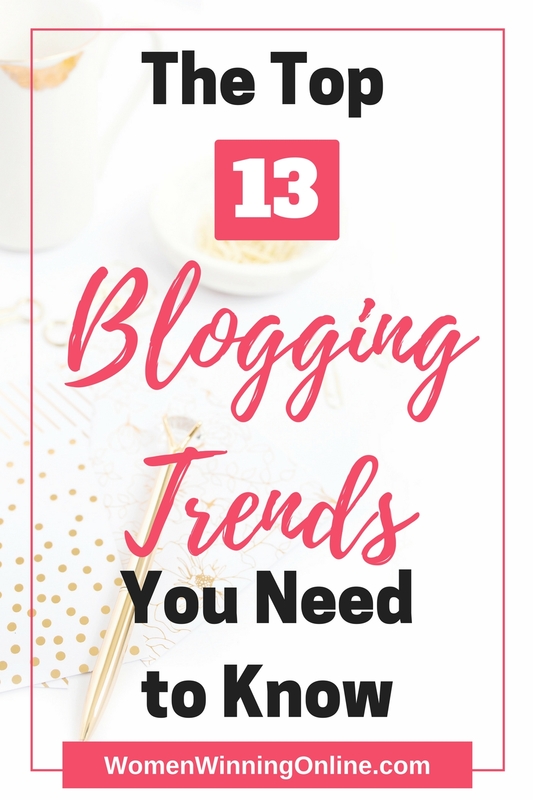 You are a new blogger and don’t have a lot of money to spend on blogging yet. 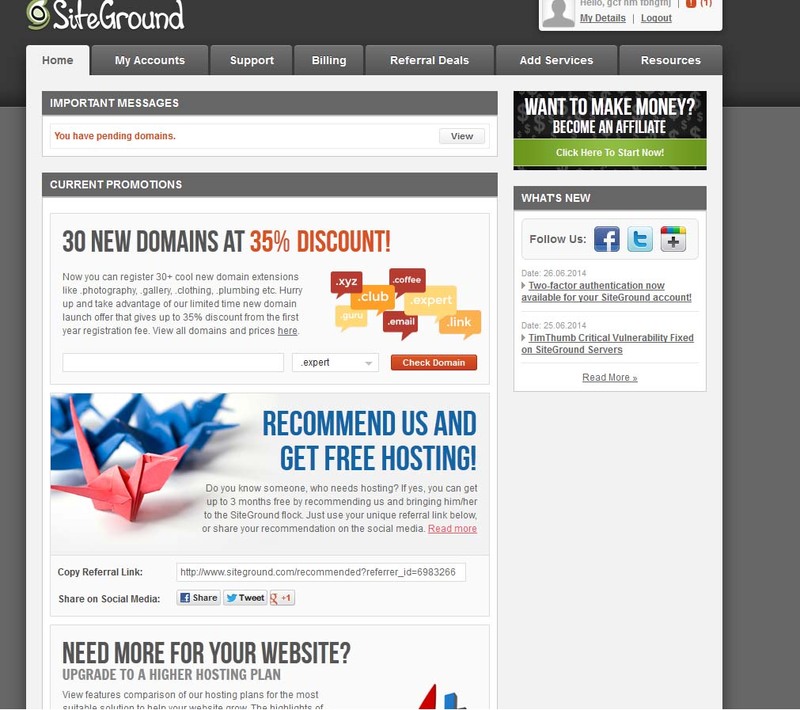 SiteGround allows you start for under $50. I would rather you be able to spend your money on marketing your blog and getting the necessary education to grow your blog. To keep the costs low, sign up for 1+ years of hosting. The more years you sign up for, the less expensive it is! The technical side of blogging can be frustrating at best. You need a host that will be there for you 24 hours a day if something happens to your blog. 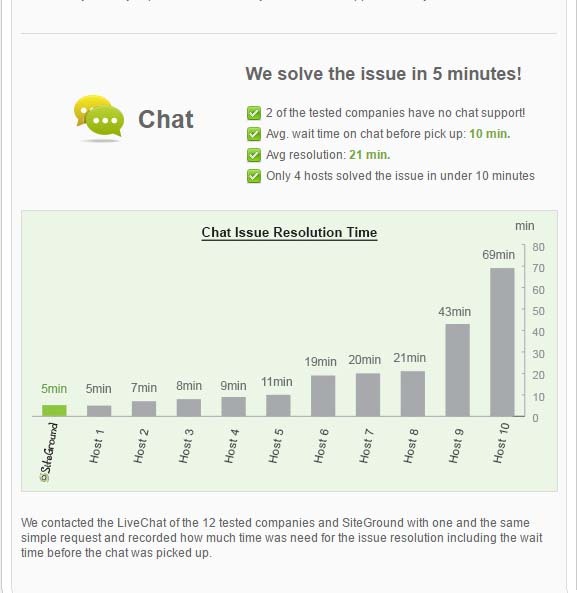 SiteGround will answer any technical questions you have at anytime– day or night! 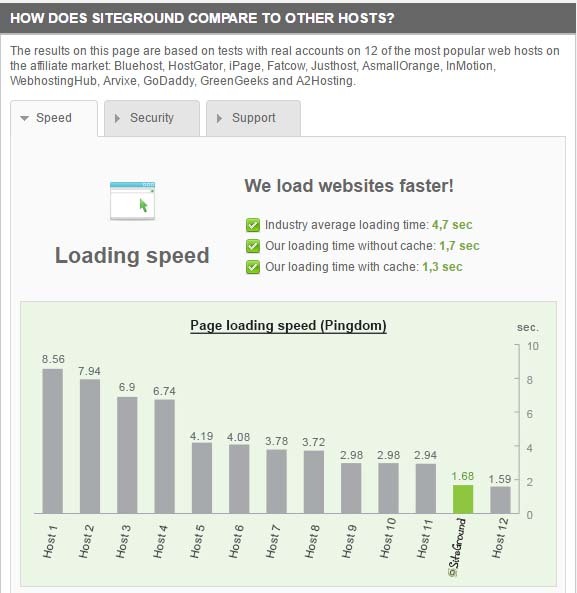 Their sites load faster than 11 other common hosting sites. This is important for your readers and for your Search Engine Optimization (SEO) status! 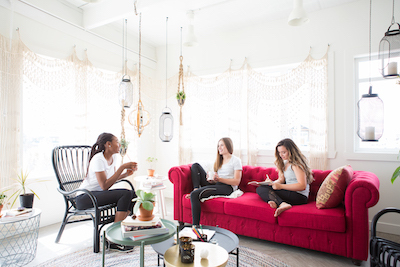 Now that you know where to host your new blog, let’s move onto getting it setup! D. Choose your hosting period. The longer you do it for, the bigger your discount! Then pick your hosting location! E. Enter your payment details and click the green pay now button. Next you will be taken to your user home page. Now it’s time to install WordPress! 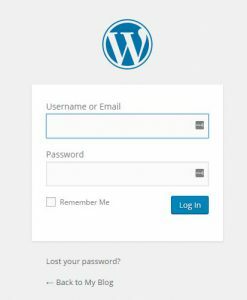 The easiest way to install WordPress? 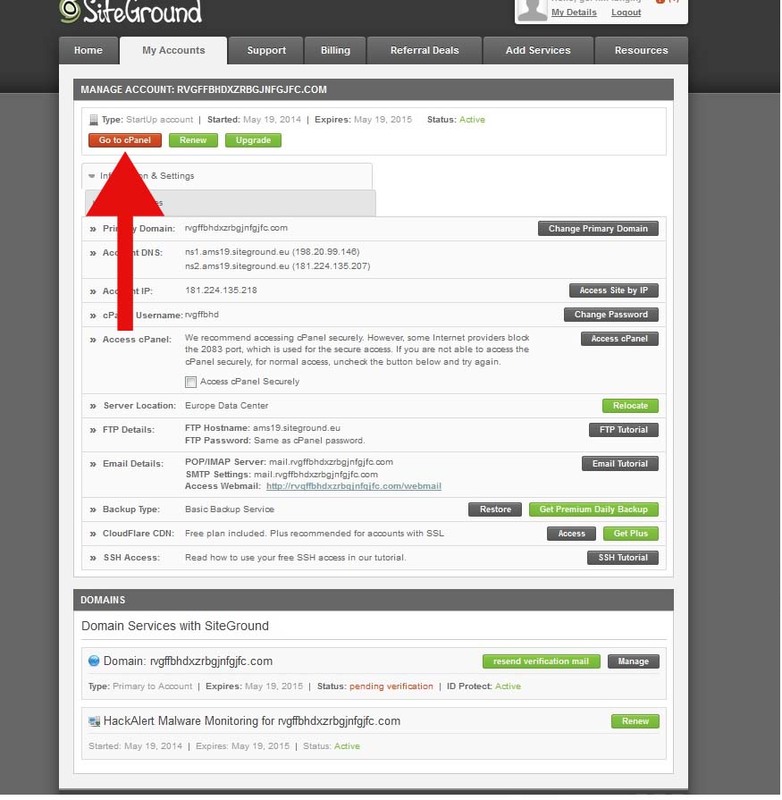 Ask SiteGround to do it for you. That’s right. All you have to do is click on their support tab, click the messaging box, and ask them to set your blog. Easy peasey. There’s nothing wrong with doing it this way. You are a busy lady who doesn’t have time for the tech stuff. You need to get your blog on! Once you are connected to support let them know you are a new blogger and you need help setting up your WordPress site. It will be done before you can check your Facebook newsfeed. 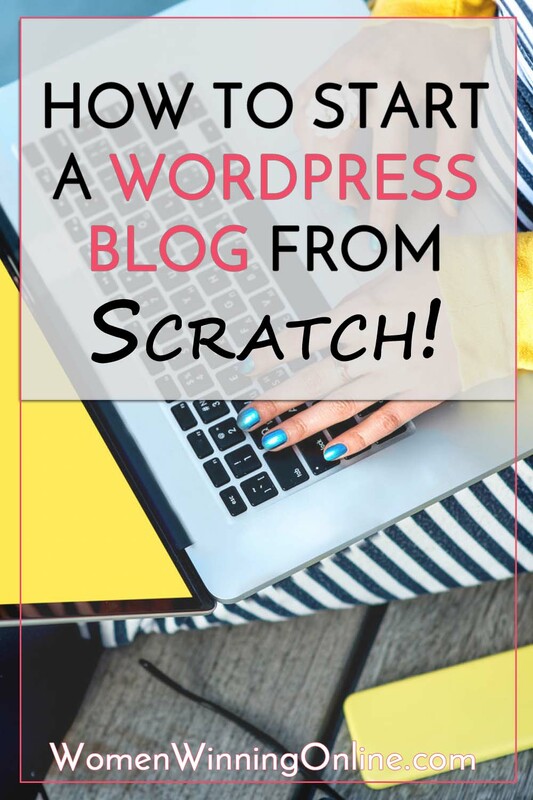 Some women like the DIY approach when it comes to setting up their WordPress site. You want to learn the ins and outs of how everything works. Totally a cool option. I have good news for you too. You can set up your WordPress site in about 60 seconds. It’s that easy. Now you are in the cPanel but don’t let this freak you out. 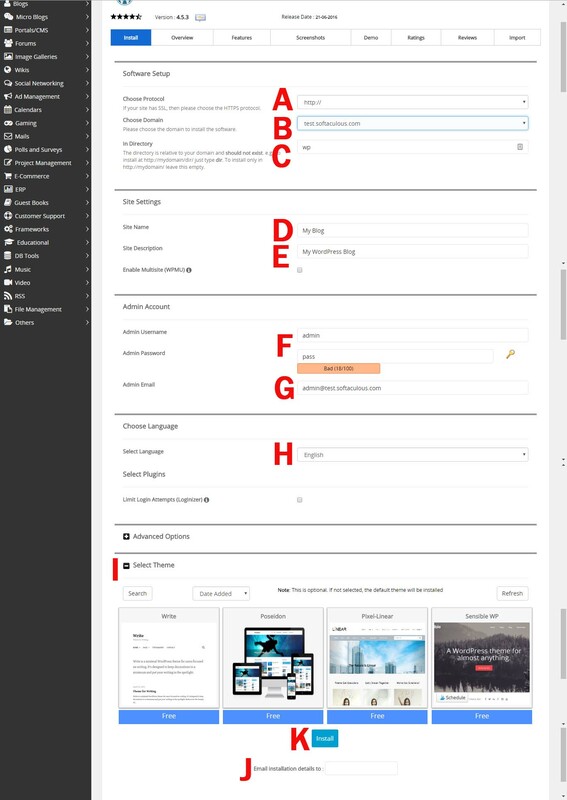 You are going to click one button to start the WordPress set up. Scroll down to the WordPress Tools section. Click the WordPress Installer. Then you will be taken to SiteGround’s system called Softaculous. Hover over the WordPress button and click the blue Install button. B. Make sure your domain name shows up in the drop down. D. Change the name to your blog name. You can change this later! E. Give a short description or tagline for your blog. You can change this later! F. This is what you will use to login to your site. Change the admin and the password. 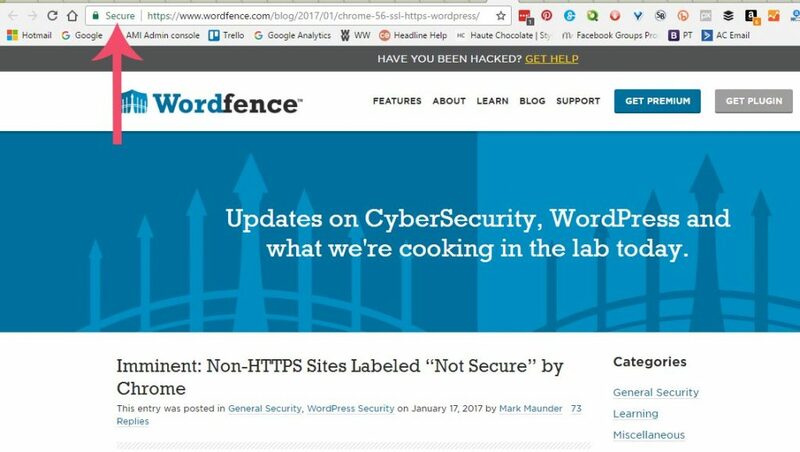 This is important to keep your blog safe! G. Change this to your email address. K. Hit the blue button to install your WordPress site! You are now ready to login and write your first post! 1. Enter your login details and click log In. 2. On the left hand side click Posts—->Add New and you are ready to write your first post! What do you think about starting your first blog? Easy or hard? Please share with me in the comments below! I know this will shock you but did you know that email outperforms social media more than five times over? That means that you will get five new clients from email marketing compared to every one client from social media. That is just one of the reasons you need an email list. Let’s dive into a few more! Generating an email list and sending out regular email marketing builds brand loyalty. The goal of your emails should be to give information that makes people’s lives easier or better. Or information that educates them or entertains them. The more they can connect with you the more loyal they will become to your blog or your business. This is helpful if you are building a group of followers or launching products. One of my favorite things about email marketing is that it is more personal than any other form of marketing. When someone subscribes to my email list the first email I send out is a “get to know you” email. I send them my freebie and then take the opportunity to engage with them. I ask them a question about themselves and then answer the same question about me. Why take the time to do this? Because it starts the connection with your email followers and builds brand loyalty. We all have those websites we follow on social media but never seem to make our way back to. Their messages get absorbed in our feeds until we don’t see them anymore. Their message is good but we start to ignore what we see over and over. This is where email marketing is different. Emails are actionable items. You have to do something with them in your inbox, either read them or delete them. You can’t scroll past them if you want to achieve inbox zero. People read your emails and remember why they signed up in the first place. Then they go to your blog and read more posts. Or they check out your services and think about working with you. Email marketing keeps people coming back to you and your website. 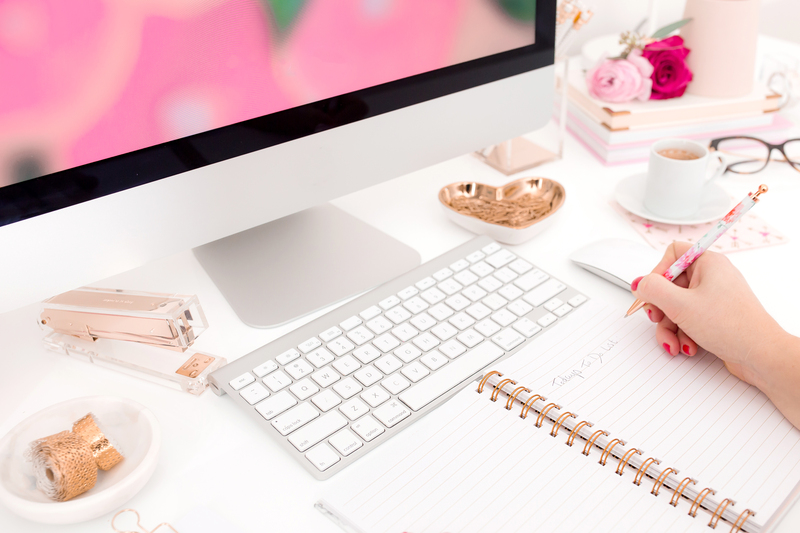 As a blogger the number one thing you want is more traffic and more page views! Email marketing helps you accomplish this goal! When you send out an interesting email and include links back to your website people will click on them. Then once they read the post on your site they will check out other posts they might have missed. 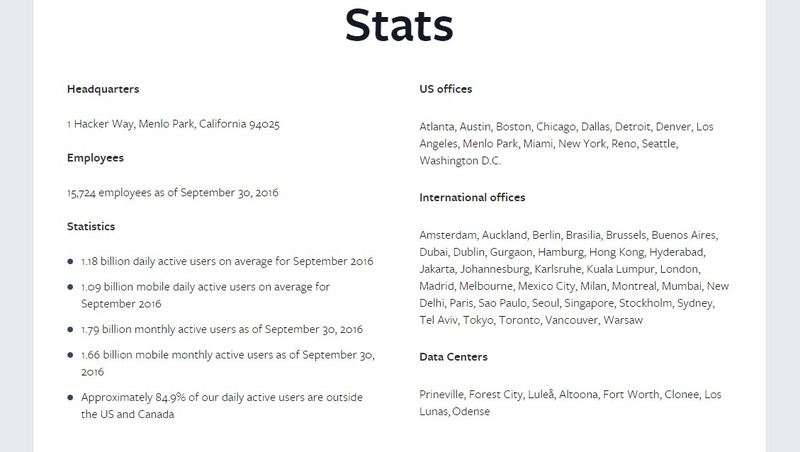 You could easily get 10 new page views per person on your email list. Not bad for a day’s work! 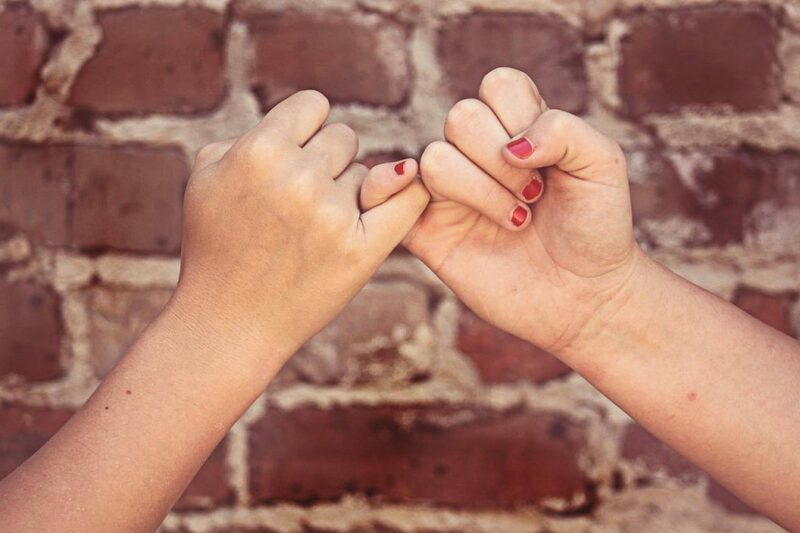 People on your email list are more loyal than your social media followers. So when it comes time to launch a product you can count on your email list to come through for you. Because you have already built up trust with them. They know you, they like you and they enjoy your website. You have consistently shown up in their inbox with great information. Why would your product be any different? Not only that your email followers will be excited to support you if your product meets their needs. I have done several product launches with my email list and every time they show up for me in a big way. They join my webinars, they buy my course and they share it with their friends. The number one reason I rely more on my email list than social media is that I own my email list. I make the rules when it comes to what my followers see and how often I show up in their inbox. The same is not true about social media. We all know that Facebook likes to change the rules. A lot. When business pages started your page would automatically show up in people’s news feeds. Now unless you pay to play it is almost impossible. With your email list you set the rules and as long as you are spam free, your emails will show up in their inboxes. Your list, your rules. That is my kind of marketing! Another reason you need an email list is you can do target marketing. 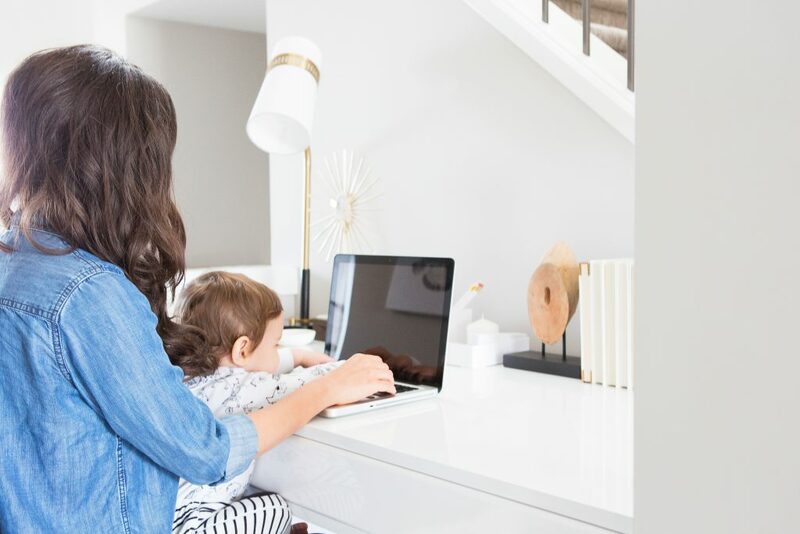 For example, let’s say you have a business that targets people who want to learn more about blogging, parenting tips and saving money. There is a lot of information that can be covered in those three categories! With email marketing you can split your lists into different groups. You can create one list for each category. That way the bloggers only see blogging info and the parents only see the parenting info. Your readers are happy because they only get the information they are interested in. There is a lot of noise on social media. People on these sites are engaging with their friends and interacting in groups. They are watching funny videos and reading articles. That’s a lot of competition. Your post has to be pretty amazing to cut through all the chatter on social media. Email marketing is the opposite and has far less competition. If you create a good-looking email newsletter with good content people will take the time to read it. At that point you have captivated your audience without the worry of any competition. 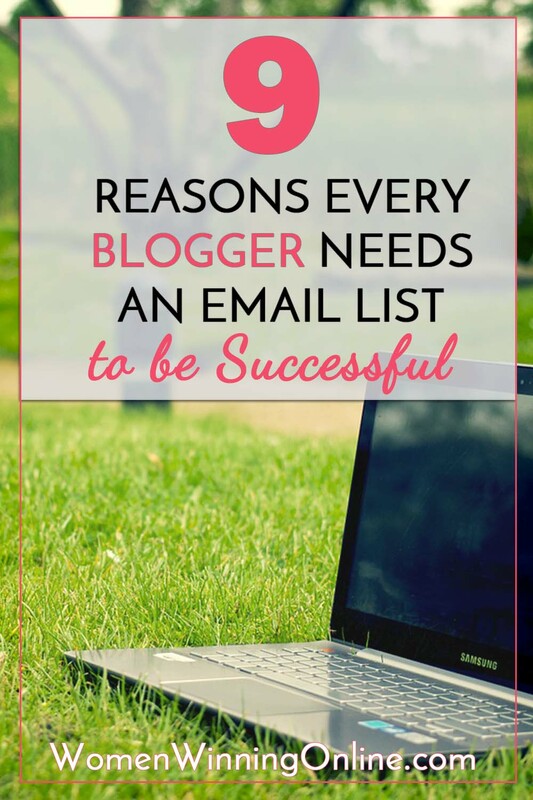 Having an email list is the number one way to increase your followers on your blog. Your focus should be to create an opt-in offer that people want to read. They they must give your their email address to get your free report. Your opt-in offer has to be amazing and something people are dying to get. Once you create that magic people will subscribe to your list. The more subscribers you get the more loyal followers you will have. Creating an email list is the most important marketing step you can take for your blog or website. An email list build trust and brand loyalty. It helps remind people that you are in business and will increase your page views. When it is time to launch a new product or webinar your email subscribers will be your number one supporters. Even better you own your list and can do highly targeted marketing when it is time to launch your product. Email marketing has less competition than social media. Your email list will be your number one source for generating new clients! What has been your experience with creating an email list? Do you have one and it is stagnant? Or do you have a thriving email list that brings you in business every day? I would love to hear your thoughts in the comments below! Thanks for sharing! 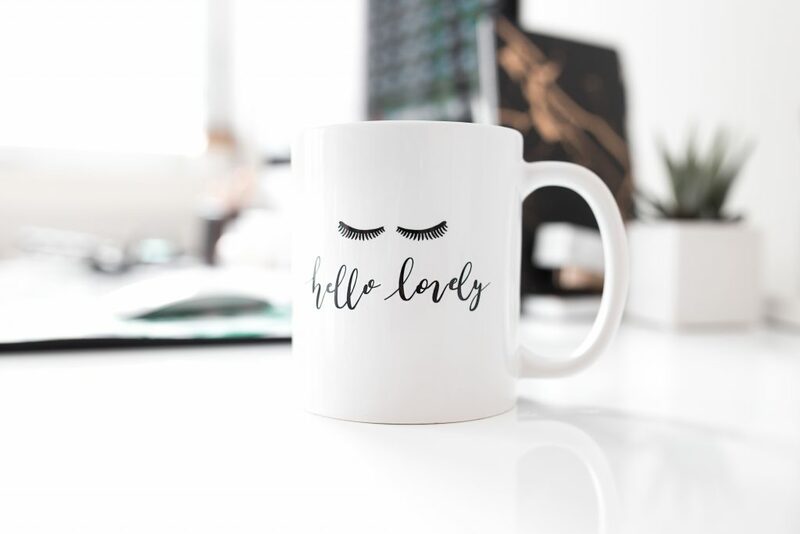 The number one question I hear from new bloggers is “How do I get more traffic?” It is our number one burning desire isn’t it? More traffic means more engagement from people. More people reading what we are writing. And we all know more traffic leads to more money. But the question remains, how do we get that coveted traffic? Before we dive into the details let’s talk about how not to get traffic. When you are a new blogger your social media following is about as big as your traffic. You have 50 likes on your Facebook page. You have 100 Twitter followers. Your followers on Instagram consist of your friends and family. Basically your social media following is non-existent. If your social media following is small don’t waste time on it promoting your content. But all new bloggers do it anyway. Why? Because it’s easy and free. Also because there is hope there that one social media post will go viral. And that viral post will solve the blog traffic problem forever. I am not saying never promote on your social media sites. But when you are starting out that is not where you should spend the majority of your time. Your time is limited and you want to get the most return on investment. There are better ways to get traffic than posting on your non-existent social media sites. Link parties were a great way to get traffic when blogging was new back in the early 2000’s. You visit a site more popular than yours and leave a link to your blog post. Ideally your post would drive like-minded people to your blog. Then social media hit and bloggers everywhere experienced a sharp decline in comments. Yet link parties lived on. Why is that? I think one reason is to drive traffic to the host blog of the link party. This is why I think they are still around. The host of the party receives the greatest benefit with more people reading her blog posts. Her posts are highlighted at the top of the page where the link party is hosted. Then when you read one of her posts you click to one related to it. Do this times 100 people visiting her link party and that is a good source of traffic. But only for the host of the link party, not for the people participating. People get lost in her posts and forget to click on yours. Link parties=good for the host, bad for the guests. There is nothing that kills a blog’s traffic faster than inconsistent posting. This is especially true if you have written a few great posts and then follow-up by posting sporadically. People like your posts and want to know they can count on you for the long-term. When they come back and see the same post at the top of your list for the last month, they think you are done blogging. They are bummed about it, but they move onto the next blog to see what they can get from it. Now I am not saying you need to post five days a week, in fact I think that’s one of the worst things you can do. If you commit to posting once a week, stick to it, and build your editorial calendar around it. This consistent posting schedule will lead to growing traffic. There is this myth out there that the best way to drive traffic to your blog is to post every day. I think this is the worst piece of advice given to new bloggers. The absolute worst! How do I know this doesn’t work? I did it. And it was painful and I came thisclose to burning out on blogging. In my previous blog, I took this misguided advice and posted every single day in November. The first week it was fun. The second week I was getting nervous about the ides of keeping up with this pace. The third week I was producing mediocre content. The fourth week I burned out and the content was just bad. Lucky for me I came across a post on Smart Blogger that said posting every day was the worst thing a blogger could do. For one reason it pushes your good content down the page and people don’t see what you are writing. Second it’s exhausting. Even if blogging is your full-time job you can’t keep up with the pace of posting every day. There are so many other things you have to do with a blog then write. If you are writing every day you can’t keep up with marketing your blog and networking with others. There isn’t time to learn more strategies or heck just take a break. So Blogger I give you permission to stop posting every day. Go down to posting three times a week or even only once a week. It will take the pressure off of you to produce awesome content all the time. It will give you back the time to try some of the traffic strategies I am sharing with you in this post. Most of all it will give you breathing room and make you like your blog again. How do I know? That old blog I mentioned? I went from posting every day to posting twice a week and my traffic increased 300%. Take a break from posting every day while your following is small. This will help you stay in it for the long haul. Now that you know what not to do to get more traffic, let’s look at a few solid strategies to grow your blog’s traffic. Guest posting is one of the best ways to grow your blog’s traffic. The goal is to guest post on blogs that are in your niche and have a lot more traffic than you. This accomplishes a couple of things. First it gives you credibility. The host blogger is well-known in your niche and is good at what they do. So if you are writing for their site you must also be a good writer and good at what you do. Guest posting gives you instant credibility. Second, guest posting introduces you to hundreds of thousands of readers instantly. Readers that would take you years to meet. 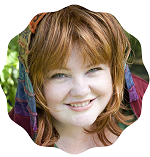 Through guest posting you get to meet readers that are in your niche. These are people who are already interested in what you are writing about. When you write a guest post that helps people they will be drawn to your blog to read more of your posts. You want more traffic? Then focus on building your email list. When you send out your email newsletter to the people on your list, they will visit your blog. If you include links to your blog posts in your email newsletter they will visit those posts. The more people on. Your list, the more page views you will get every time you send an email. How is this different from social media? There is a lot of noise on social media, a lot of competition. When you email people they have one decision to make, read your email or delete it. If you send good, valuable emails your subscribers will read them. On social media your message is one of thousands. Plus you can’t guarantee that people will see your social media posts (Facebook I’m looking at you). The best bet is to focus on your email list that you own and control to grow your blog. Facebook groups are the new hot thing and are a great way to get traffic to your blog– if you do it right. I started my own Facebook group to connect with my ideal audience, get to know them better, and serve them. Because it is my group I can share my blog posts to help others. Being the owner of a Facebook group also increases my visibility. People see me as a resource and an expert for marketing ideas. 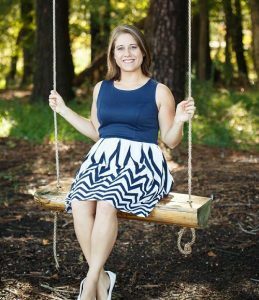 I drive traffic to my site by answering questions from the group and turning them into blog posts. If creating your own group isn’t part of your marketing strategy you have another option. Actively take part in other Facebook groups. There are two rules to follow with this strategy. First, find Facebook groups that match your niche. If you blog about parenting, don’t go into a personal finance group and think you will get a lot of traffic. You want to spend time in Facebook groups where your niche is hanging out. Second, do not go in there and puke your message all over everyone. Do not do this. The trend is for bloggers to go into groups and write these long posts under the guise of “helping.” Yet the messages are a clear sales pitch for their services. This is especially true when it includes a photo with the URL to their site. Nothing offends a group owner more than people doing this. It is seen as selfish and not giving to the group. Group members also find it offensive because they see the group owner as the expert. Members see this as infringing on the owner who they are loyal to. Finally, don’t comment on every post with a link to your blog. Go in and leave genuine comments on threads where you can help. If someone asks for a link give it to them but don’t link drop for the sake of getting traffic. If you are being helpful people will be drawn to you and will ask you more questions about how you can help them. They will see that you are about giving and not only taking. One tried and true method to grow your blog traffic is to comment on posts on other blogs. But you don’t want to do this at random. Like everything you do for blogging, you need to be strategic with this method. 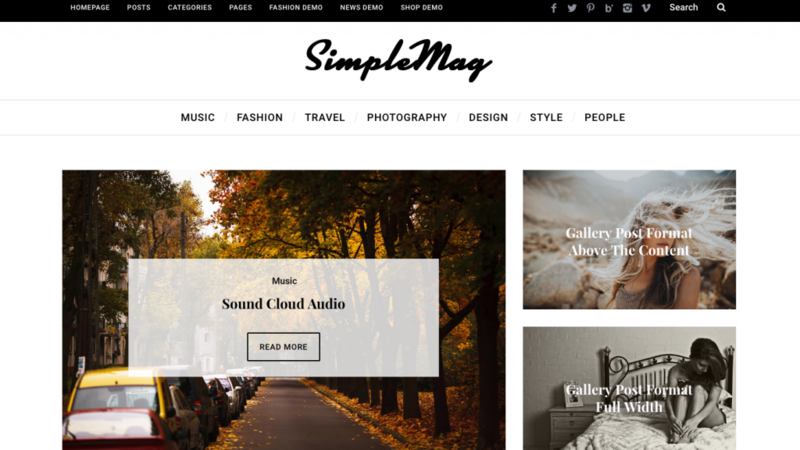 First look for blogs that are more popular than yours. I search Google for the “top 10 marketing bloggers” and then check their ranking on Alexa.com. Any blog with a rating under 100,000 is a good blog to comment on. I also search Pinterest to find bloggers in my niche that have popular pins. More often than not their Alexa rating is also under 100,000. That isn’t a helpful comment. You want to add to the conversation the blogger started with her post. 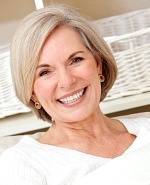 If she wrote about “The top 10 tips to lose 50 pounds” see what you can add. Maybe you tried tip 5, it really worked for you, and you can share your experience. Or maybe there is another tip you can add to the blogger’s top 10 list. Add a comment that is kind, helpful, and insightful. And don’t forget to add your blog URL to your name when you comment. 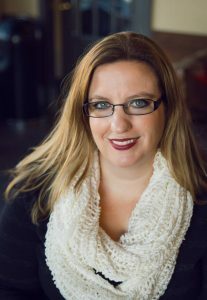 I will often leave mine like this: Jen | Women Winning Online. The key here is you want to find blogs in your niche or related to your niche. If people are hanging out on these popular blogs there is a good chance they want to learn more about the topic. As a new blogger networking with other bloggers, new and experienced, is a must. Out of this networking friendships are born. Blogging is a tough business and no one understands that then fellow bloggers. When you have rough days your bloggy friends will commiserate with you and lift you back up. They also understand what it is like to have a guest post go live on a big site and will celebrate with you. When you build those friendships you share each other’s content with your readers. You work together on products and on launches. You help each other grow in your blog and your business. How do you network with other bloggers? 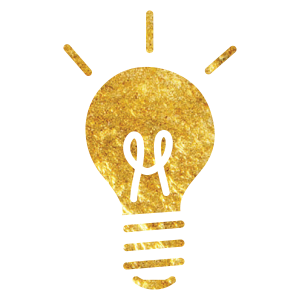 The first thing I recommend is finding or creating a small mastermind of bloggers. 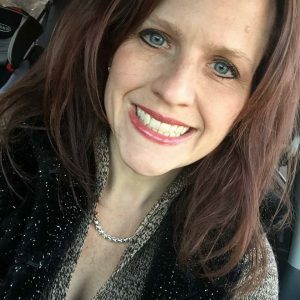 Connect with 3-4 people who blog within your niche if possible. Meet regularly to help each other with strategies and any struggles you may be going through. 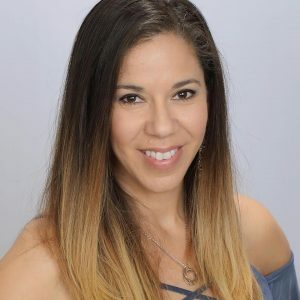 I also recommend connecting with bloggers in your niche that are bigger than you. Share their content on your social media sites and comment on their blog posts. Remember how I said in the beginning that posting on your own social media sites was a bad idea? And that you also should spend time and commenting on other blogs? The only time it works when you are new is if you are doing it for the purposes of networking. When you share other people’s posts or comment on their blogs, don’t do it to be shady. Be genuine with your comments and shares. Do it to connect with people and build relationships. Growing blog traffic is the number one desire of every new blogger. The key to doing it is to be strategic with your marketing efforts. Go where the people are and do guest posts on other sites and build up your email list. Check out Facebook groups and blogs where your ideal reader is hanging out. Work to build connections with other bloggers. 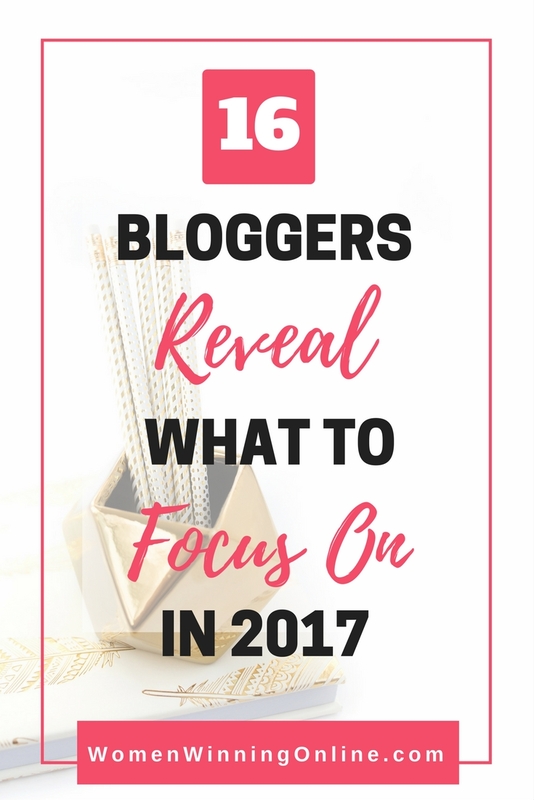 These are the tasks you must focus on as a new blogger. Do that and you will have a blog that gets a ton of traffic!